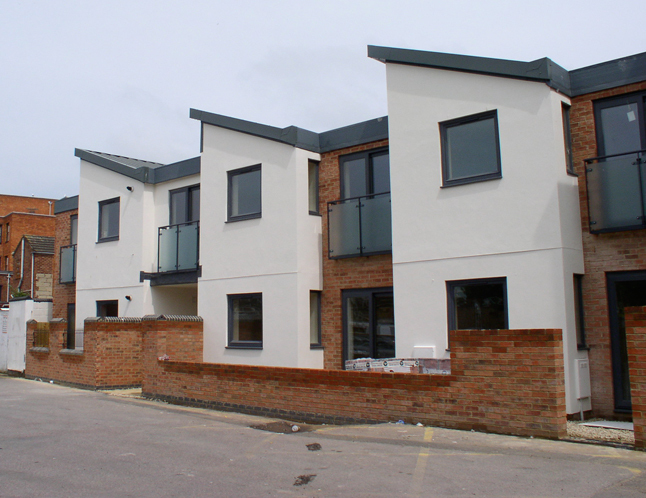 These new units were designed and built in Gloucester on the old site of the Sony Centre. 8 individual two bed and studio masionettes arrange on two floors. This was a fastrack design and build project.